At Coastal Vegetation Management, our mission is to ensure, come bush fire season, our clients properties are compliant upon the local city councils deadlines and remain compliant right through to the end of the bushfire season. We pride ourselves on providing the highest quality work according to regulations, budget and time constraints. We understand that you are busy, so we are effective and efficient at what we do, ensuring our services suit your properties needs. We are locally owned and operated so we understand the vegetation and terrain of your area and can advise you on the best management solution for your property. 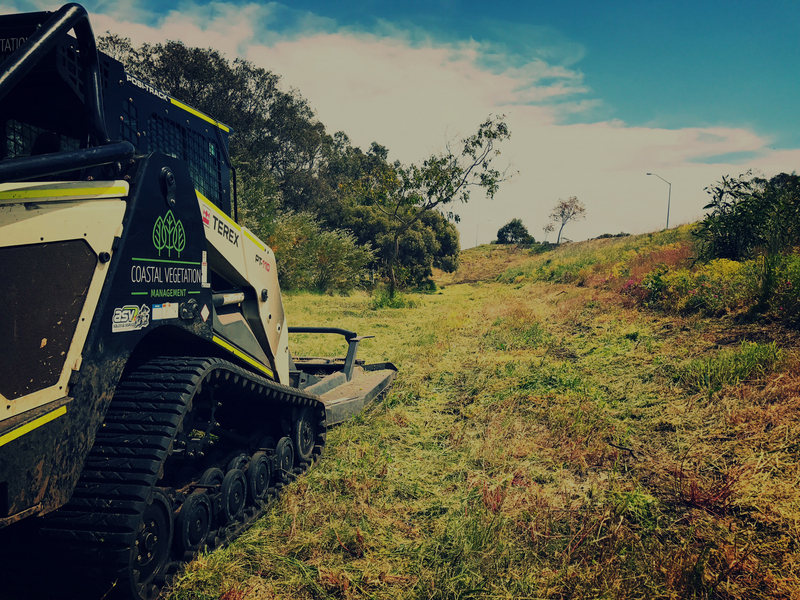 Having been established in 2000, we have over 17 years experience and offer a full range of services for residential and commercial vegetation management including forestry mulching, firebreaks, slashing and licensed weed spraying. 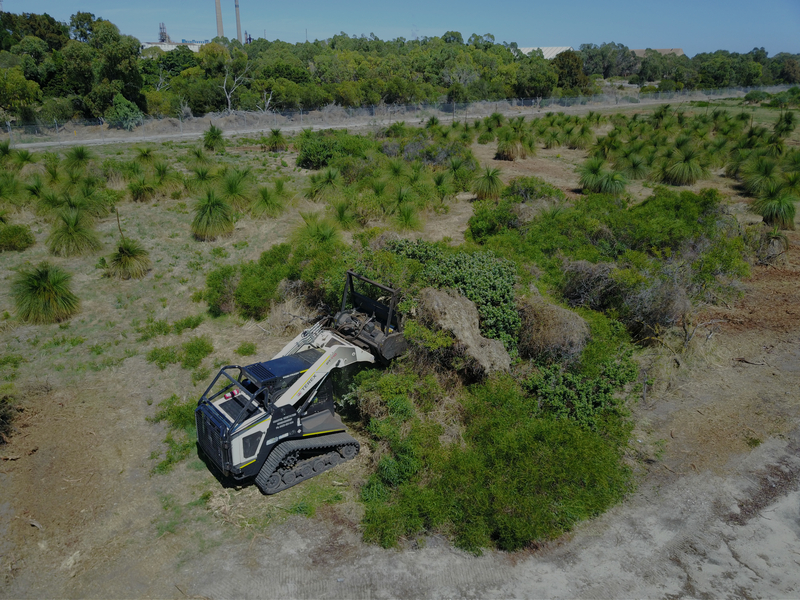 Coastal Vegetation Management services the Perth metropolitan and surrounding regional areas. All of our operators are licensed with extensive industry experience and knowledge and comply with workplace safety regulations. We use the highest quality machinery and technology to ensure the client is satisfied with the finished result. We look forward to partnering our services with your properties needs. Contact us today for a free quote for your properties vegetation management. Forestry Mulching is the most effective and efficient way to clear vegetation for bushfire mitigation purposes. The process involves cutting and chipping vegetation that is up to 500mm in diameter and laying that mulch back onto the soil surface. 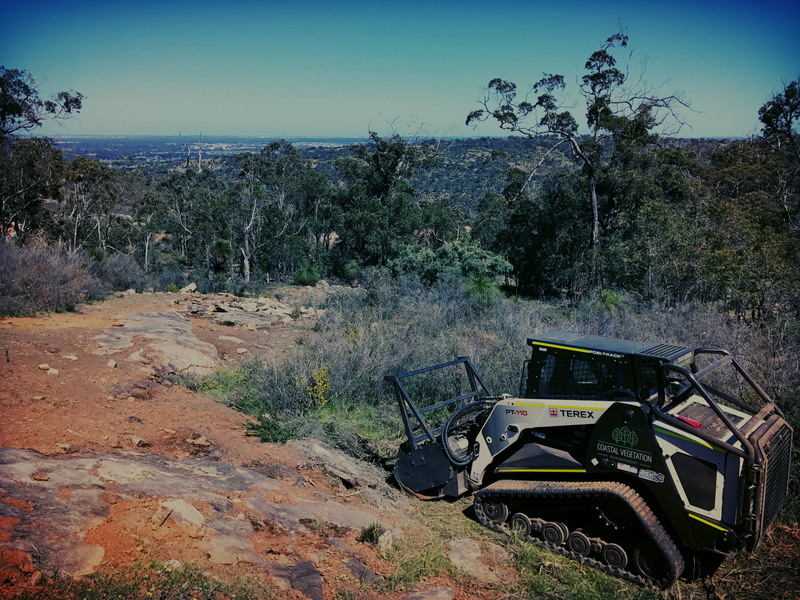 Our machinery is not restricted by many vegetation types and can mulch on most terrains. 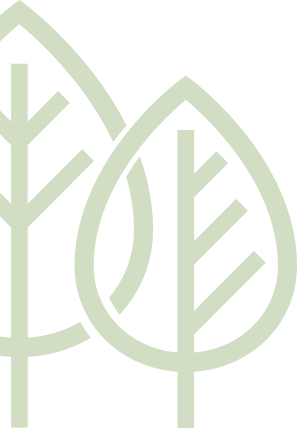 Forestry Mulching applications including Right of Way clearing; such as firebreaks, vehicle and personal access passages; removal of invasive species and can be used for parkland clearing. 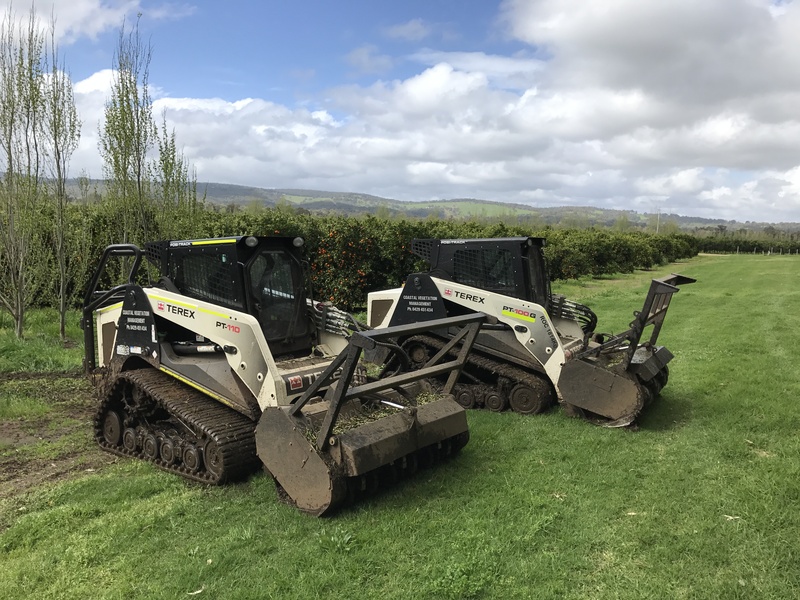 We use Terex Posi Track and Fecon mulching machinery, which is preferable as it has a very low ground pressure, and can be safely operated on inclines of up to 30 ̊. Our team are among some of the very few in the state with forestry mulching endorsements on their licenses. 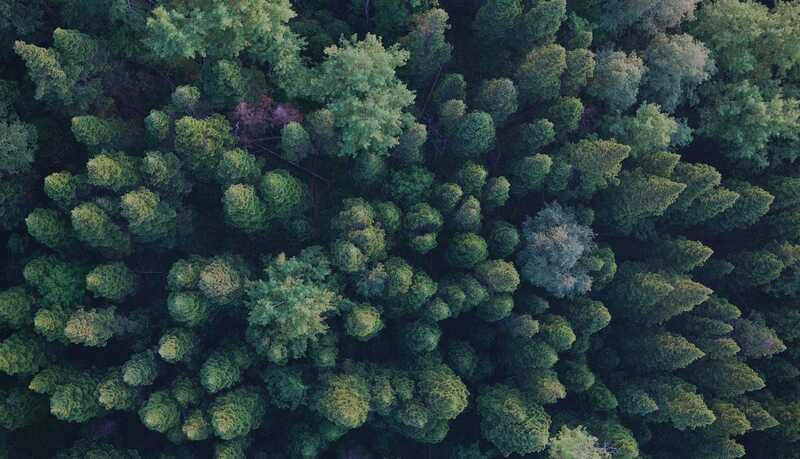 Forestry Mulching is a long-term fire mitigation and property maintenance solution that can have a desirable finish on any scale, small or large. Firebreaks are mineral earth tracks located on the perimeter of the property and are a requirement according to local city council regulations. In some cases, it can prevent a fire from moving into surrounding parcels of land or in the unlikely event of a bushfire; a firebreak reduces the destruction caused by the fire and provides the safe access for fire and emergency vehicles. A mineral earth firebreak can be achieved by various methods, the most common being cultivation with a rotary hoe or with machinery buckets. The best approach will be discussed prior to commencement of any projects. A residential block slash is a process by which the grass is cut without collecting or removing the clippings. This must be done according to council regulation and will lower fuel load for a potential fire. 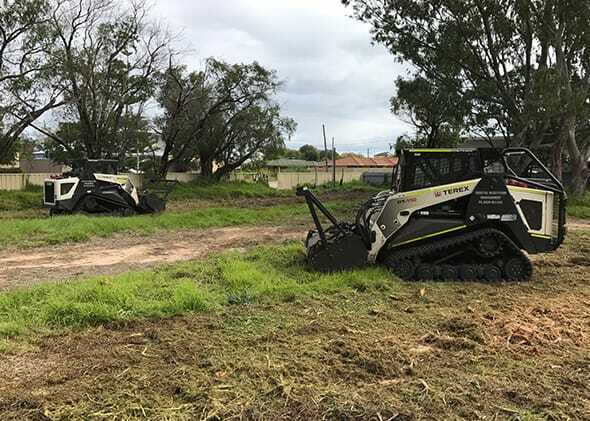 A paddock slash is a process to cut grass on rural properties, similar to a block slash, and uses our front deck slasher or our industry standard work safe approved tractor slasher. Weed spraying is an alternative control method to areas not easily accessible to machinery. Spraying can control weed growth for extended periods of time. Our chemicals are carefully chosen to suit the application and we are licensed by the Department of Health to carry out weed spraying activities. We can customize a maintenance program that suits your property throughout the year or weed spraying on your request. deadline; this includes up until the end of the bushfire season. council will have further information on their deadline and requirements. We pride ourselves on providing the highest quality finish and all works carried out on properties are compliant, ensuring landowners do not receive infringements. We have coordinated and completed large-scale projects, according to budget and time constraints for government departments and for some of the largest land developers in Australia. We have the highest quality equipment that is prepared for any sized project. We are fully insured, adhere to Safe Work Method Statements (SWMS) and have our own Occupational Health, Safety and Environmental (OHSE) plan. Contact us today for a free quote that is tailored for you. How wide does my firebreak have to be? Generally, a minimum of 3m wide and 4m high, but check with your local city council or contact us for more information. We are aware of each city council’s requirements and will tailor your firebreak accordingly. When should I get my firebreak done? Contact us and we will discuss a time that suits before the deadline and ensure that your property remains compliant. Why do I need a firebreak? It is a State Government requirement for bushfire mitigation and will assist emergency vehicles to have safe access to your property in the unlikely event of a fire. Do I need to be home while work is being conducted? In most cases, no. We will contact you prior to work being carried out to make sure the property is accessible for our machinery. I have horses or livestock, what should I do? Let us know when you contact us to book and we will discuss with you what is most convenient and safe for the work to be completed. completed and payment can be made by EFT or bank cheque. Copyright all rights reserved © Coastal Vegetation Management. Website by Digital Monopoly.